I enjoy daily blogging. I really do. I enjoy responding to prompts, and thinking critically. But sometimes I need a break. Some days are just too busy to write a post, like today. Some days I just don’t have anything to say. There were quite a few of those this year. 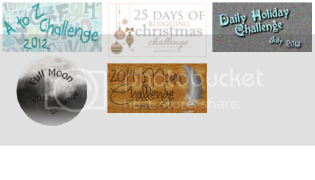 There’s not much for me to say about this year’s daily blogging challenge. I did it. I’ve done it every July. I’ve never failed. That record is what keeps me from skipping a day when I don’t know what to say. Every year I have broken my record of page views. This year was no exception. While Daily blogging does bring more visitors to my page, that’s not the reason that I do it. I do it because it challenges me to blog more. I do it because it challenges me to write about things that I may not have otherwise wrote on. Overall, this year’s challenge was a success, and though I don’t know what my blogging will be like over the next 11 months, I know I will be daily blogging again next July. The Final post in my Daily Blogging Challenge! This entry was posted in Daily Blogging Challenge July 2016, Uncategorized and tagged blogging, life, postaday.